Adding a Selz button or widget to your website or blog is a snap. All you need to do is add a tiny bit of code to your page and your customers will be able to purchase without even leaving your site. Some of the steps vary depending on your platform. Wix - Click here for help adding a button to your Wix site. Blogger - Click here for help adding a link, button, or widget to Blogger. Webflow - Click here for help adding a buy button or widget to your page. Squarespace - Click here for help adding a button or widget to your Squarespace site. Tumblr - Click here for help adding an image button to your Tumblr blog. 1. Go to Buttons & Widgets from the main menu. This will display the button and widget editor. 2. Make your choices about the button or widget's style and appearance. 3. 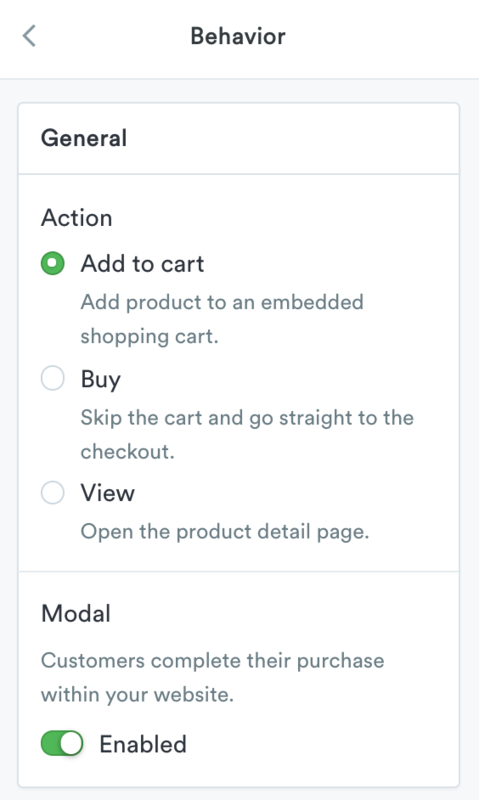 Choose how you would like your button/widget to behave and if you would like to take advantage of the shopping cart feature. 4. Copy the HTML code on the right. 5. 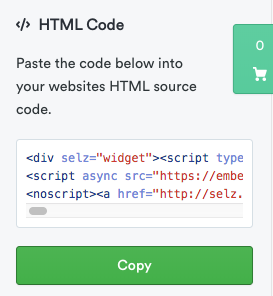 Paste the code into your site (paste into the text, HTML content block or source tab). *Please note that these settings will appear differently on every site. 6. And you're done! A beautiful button, widget or store is ready for your customers.